Polytechnic, London and the Académie Ranson, Paris. 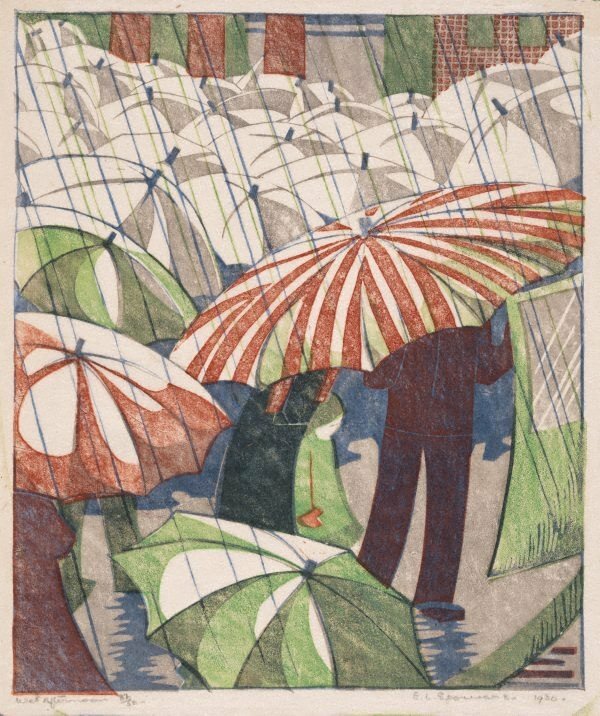 Her work changed considerably from 1929, when she briefly studied linocut printmaking with Claude Flight at the Grosvenor School of Modern Art, London. The linocuts she made under Flight’s tutelage show a modernist movement and rhythm. This print was exhibited in London in 1930, when impressions were acquired by the British Museum and the Victoria and Albert Museum. Signed and dated l.r., pencil "E.L. Spowers. 1930. ".